More and more, managers are judged by their “Ability to Coach Others.” But few managers are taught how to be effective coaches. CCL’s Coaching for Greater Effectiveness program for managers is one way to build those skills. Another is CCL’s new 360-degree coaching assessment, designed to help managers understand what they need to do to be a skilled coach. 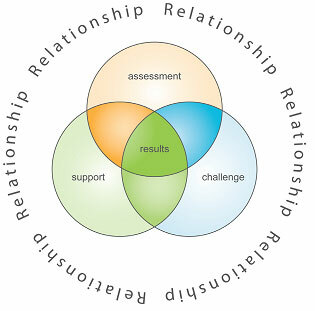 Both the program and the Coaching Effectiveness 360° are based on Relationship, Assessment, Challenge, Support and Results — CCL’s RACSR Coaching Model. If your organization is interested in improving its internal coaching capacity, you can be one of the first to use this new 360. CCL is currently seeking organizational partners to participate in the validation process. Click here to learn more. What Drives Your Leadership Strategy?